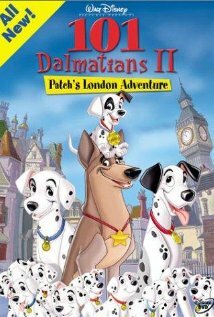 The Dalma tians make a return in 101 Dalmatians II: Patch’s London Adventure. Patch is left behind in the chaos of a move to another home. He does not seem to mind though; he wants nothing more than to audition for a show that Patch believes will make him one-of-a-kind amongst all of his other spotted brothers and sisters. Little does he know that the role he is wanting to audition for is the one that his idol plays. Now Patch must help Thunderbolt find a way to impress his human co-workers to keep his job. Will they be able to do it? You will need to watch to find out. To learn more, you need to check out http://www.imdb.com/title/tt0324941/?ref_=sr_1. The movie gets a five out of five popcorns rating.